In my article of January 2010, "Israel's West Bank Barrier and the Belfast Wall," I mentioned the difficulties in materializing the Peace Agreement in Northern Ireland (also known as the Good Friday Agreement) reached in April 1998, implemented practically only since May 2007, when a power sharing executive was again established to govern Northern Ireland. However, the core issue - the final status of Northern Ireland - has remained open to be decided in the future by its population through a "democratic process." Meanwhile, the Real Irish Republican Army (RIRA) continued since 1997 to stage rare terrorist attacks in Northern Ireland. RIRA is a split organization from the Provisional Irish Republican Army (IRA), the Catholic partner to the Good Friday Agreement. In November 2009, the Independent Monitoring Commission released a report stating that the threat from the RIRA and other dissident republicans was at its most serious level since the 1998 Good Friday Agreement. I also stressed that Catholic and Protestant sectors of Belfast are still separated by a wall which stands as a reminder of unresolved resentments and tensions. (See the article at Link>>). In his recent policy report "Return of the Militants: Violent Dissident Republicanism," published by The International Centre for the Study of Radicalisation and Political Violence (ICSR) in London, Martyn Frampton analyzes the danger posed by violent, dissident Irish republicans which is now according to him at its greatest level in over a decade. The British Security Service, MI5, has consequently raised the official threat level from these groups from "moderate" to "substantial" and warned against the real possibility of a strike on the British mainland. Frampton argues that the aim of the armed campaign by violent dissident republicans "is to prevent ‘normalisation’, undermine the province’s peace process and foment political instability – to show that the ‘Irish Question’ has not been solved" and that question can never be solved for as long as there is no united Ireland. (See the report at Link>>). Interestingly, in a 2008 article, Martyn Frampton (together with John Bew) analyzes the difference between the peace processes in Northern Ireland and in the Israeli-Palestinian conflict and relates also to the question if there can be at all negotiation with the Hamas movement in order to achieve a peace agreement. The authors stress that "the aims of the IRA posed no existential threat to the British" while the "objectives of Hamas require the destruction of the State of Israel." Moreover, whereas "the political goals of the IRA were confined locally to the future of the island of Ireland, Hamas, by its own admission, is part of a global Islamist movement, known as the Muslim Brotherhood" which imply broader international implications. 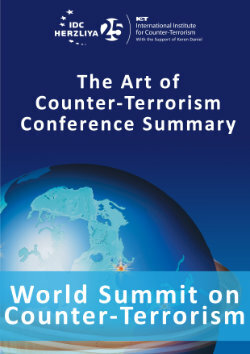 The authors' conclusion is that "there is a crucial qualitative difference between talking to terrorists who are on the crest of a wave...and talking to terrorists who have been made to realize that their aims are unattainable by violent means." Frampton and Bew reject the notion that there exists a model of conflict resolution that can successfully be applied elsewhere in the world. (See John Bew and Martyn Frampton, "Talking to Terrorists: The Myths, Misconceptions and Misapplication of the Northern Ireland Peace Process," Jerusalem Viewpoints, Jerusalem Center for Public Affairs, No. 566, August-September 2008 - see link>>). President Obama has nominated former Senator George Mitchell as the US mediator between Israel and the Palestinian Authority in the hope that his experience and international prestige in achieving the Northern Ireland Good Friday Agreement will help advance also the peace process between the two Middle East adversaries. Moreover, the Senator was the chairman of the Sharm el-Sheikh Fact-Finding Committee which issued The Mitchell Report in April 2001, the first international inquiry report which investigated the causes of the violence in the second intifada of September 2000. The chief recommendations of the Committee were resumption of negotiations, confidence building measures, security cooperation and cessation of violence and a freeze on new settlement activities. In this framework "the restoration of trust is essential, and the parties should take affirmative steps to this end," affirmed the members of the Mitchell Committee. In testifying at the time, with other expert colleagues, before the Mitchell Committee I was asked what was the main result of the violent intifada. My answer was that the chasm of mistrust between the two leaderships and peoples alike, as result of the unexpected violence from the Palestinian side, in blatant transgression of the obligations of the Oslo Agreement, will possibly be overcome only after 10-15 years, in order to permit a return to the status-quo of September 2000. I mentioned also that the Palestinian violence as expressed in the waves of suicide bombings by Hamas and the Palestinian Islamic Jihad which began only two months after the signing of the Oslo Agreement in September 1993 and escalated until February-March 1996 without being stopped by Chairman Yasser Arafat, proved the double game of the Palestinian leadership. As it is known, the Mitchell Committee recommendations were not implemented by the two sides and the wave of deadly suicide bombings culminated with the 17 ones in March 2002 (130 Israelis killed in one month!) and led to the Defensive Shield Operation and the crushing of the Palestinian terrorist infrastructure in the West Bank. It seems therefore that the Obama Administration and Sen. Mitchell have not learned the lessons of recent history. The seemingly successful Good Friday Agreement will continue to be threatened by violence and terrorism as there is no clear solution in sight to the problems involved, and cannot serve as example for the much more complex and deadly Israeli-Palestinian conflict. In the Ireland conflict there are only four actors (Catholics and Protestants in Northern Ireland, the UK and the Republic of Ireland) and one influential mediator (think about the strong Irish community in the US). 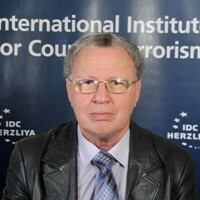 In the Israeli-Palestinian conflict there are involved dozens of actors with conflicting interests: the so called Quartet (US and Russia, the EU and the United Nations!, and others) and above all radical players like Iran and Syria, Hezbollah and Hamas, who have pledged to derail the peace process at all costs. It is not by chance that a Hamas cell killed four Jews in a terrorist attack in the West Bank the day the direct negotiations between Israel and the PA opened in Washington. In a statement issued in Gaza, Hamas's military wing the Ezzedine al-Qassam Brigades claimed responsibility "for the heroic operation." Hamas leader Mahmoud Zahar indicated that more attacks could be expected and said the movement would resist peace efforts and criticized the Palestinian president for joining the negotiations. Even in the unlikely scenario that the two politically weak leaderships, in the PA and Israel, could achieve the best "shelf agreement" it is clear it could not be implemented as long as there is no agreement on a moderate compromise platform between the Fatah movement controlling the PA and Hamas, as long as Gaza is controlled by Hamas and influenced by Iran and Syria. The radicals will do everything possible in order to sabotage the negotiating process before it bears fruit. Frampton, speaking of the radical terrorist threat in Northern Ireland, claims that "sometimes it is simply not possible to co-opt all of those with whom one disagrees" and if "the British state wishes to defend and preserve the peace process in Northern Ireland it must accept that the dissidents will not be joining that process" and consequently "those who will not join, must eventually be beaten". This conclusion holds also for the negotiating process in the Israeli-Palestinian conflict and the Hamas problem will have to be resolved before there is any real possibility for a peace agreement.